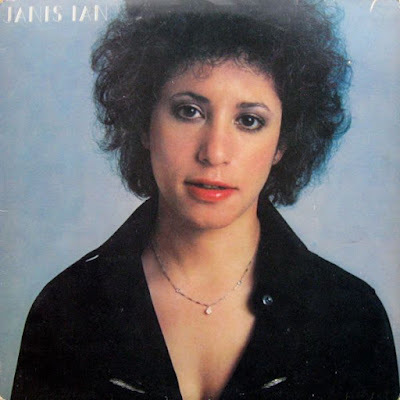 Janis Ian was born today, April 7, in 1951. She is a singer-songwriter who was most commercially successful in the 1960s and 1970s; her most widely recognized song, "At Seventeen," was released as a single from her 1975 album Between the Lines, which reached number 1 on the Billboard chart. Born in New York and named Janis Eddy Fink, Ian entered the American folk music scene while still a teenager in the mid-1960s. Most active musically in that decade and the 1970s, she has continued recording into the 21st century. She has won two Grammy Awards, the first in 1975 for "At Seventeen" and the second in 2013 for Best Spoken Word Album, for her autobiography, Society's Child, with a total of 10 nominations in eight different categories. Ian is also a columnist and science fiction author. Ian was primarily raised in New Jersey, initially on a farm, and attended East Orange High School in East Orange, New Jersey and the New York City High School of Music & Art. Her parents were Jewish-born liberals who ran a summer camp in upstate New York. As a child, Ian admired the work of folk pioneers such as Joan Baez and Odetta. Starting with piano lessons at the age of two (at her own insistence), Ian, by the time she entered her teens, was playing the organ, harmonica, French horn and guitar. At the age of 12, she wrote her first song, "Hair of Spun Gold," which was subsequently published in the folk publication Broadside and was later recorded for her debut album. 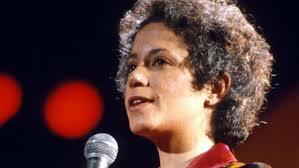 In 1964, she legally changed her name to Janis Ian, taking her brother Eric's middle name as her new surname. At the age of 14, Ian wrote and recorded her first hit single, "Society's Child (Baby I've Been Thinking)," about an interracial romance forbidden by a girl's mother and frowned upon by her peers and teachers. Produced by George "Shadow" Morton and released three times from 1965 to 1967, "Society's Child" became a national hit upon its third release after Leonard Bernstein featured it in a CBS TV special titled Inside Pop: The Rock Revolution. The song's theme of interracial relationships was considered taboo by some radio stations, who withdrew or banned it from their playlists accordingly. In her 2008 autobiography Society's Child, Ian recalls receiving hate mail and death threats as a response to the song and mentions that a radio station in Atlanta that played it was burned down. In the summer of 1967, "Society's Child" reached #14 on the Billboard Hot 100, the single having sold 600,000 copies and the album 350,000. At age 16, Ian met comedian Bill Cosby backstage at a Smothers Brothers show where she was promoting "Society's Child." Since Ian was underage, she was accompanied by a chaperone while touring. After her set, she had been sleeping with her head on her chaperone's lap (an older female family friend). According to Ian in a 2015 interview, she was told by her then manager that Cosby had interpreted their interaction as "lesbian" and as a result "had made it his business" to warn other television shows that Ian wasn't "suitable family entertainment" and "shouldn't be on television" because of her sexuality, thus attempting to blacklist her. Although Ian would later come out as lesbian, she states that at the time of the encounter with Cosby she had only been kissed once, in broad daylight at summer camp. Ian relates on her Website that, although the song was originally intended for Atlantic Records and the label paid for her recording session, Atlantic subsequently returned the master to her and quietly refused to release it. Ian relates that years later, Atlantic's president at the time, Jerry Wexler, publicly apologized to her for this. The single and Ian's 1967 eponymous debut album (which reached #29 on the charts) were finally released on Verve Forecast. In 2001, "Society's Child" was inducted into the Grammy Hall of Fame, which honors recordings considered timeless and important to music history. Her early music was compiled on a double CD entitled Society's Child: The Verve Recordings in 1995. "Society's Child" stigmatized Ian as a one-hit wonder until her most successful US single, "At Seventeen," was released in 1975. "At Seventeen" is a bittersweet commentary on adolescent cruelty, the illusion of popularity and teenage angst, from the perspective of a narrator looking back on her earlier experience. The song was a major hit as it charted at #3 on the Billboard Hot 100, hit #1 on the Adult Contemporary chart and won the 1976 Grammy Award for Best Pop Vocal Performance - Female. Ian appeared as a musical guest on the series premiere of Saturday Night Live on October 11, 1975, performing "At Seventeen" and "In the Winter". The album, Between the Lines, was also a smash and reached #1 on Billboard's album chart. The album would be certified platinum for sales of more than a million copies sold in the US. Another measure of her success is anecdotal: on Valentine's Day 1977, Ian received 461 valentine cards, having indicated in the lyrics to "At Seventeen" that she never received one as a teenager. In the US, Ian did not chart in the Top 40 on the pop charts after "At Seventeen," though she had several songs reach the Adult Contemporary singles chart through 1980 (all failing to make the Top 20). Ian started "Rude Girl Records, Inc. and its publishing arm, Rude Girl Pub., [on] January 2, 1992". 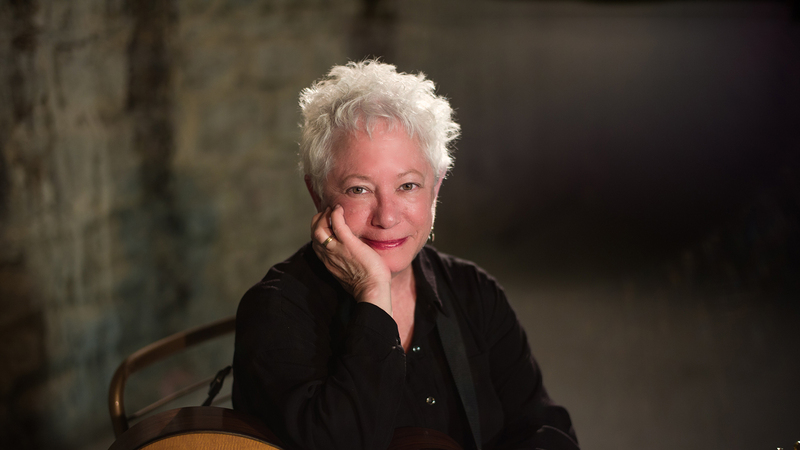 "From 1992 to the present, RGR has steadily grown, with its current ownership of Janis Ian masters up to twenty albums and DVD's overseas, and a slightly smaller number in North America. The Rude Girl label oversees the production of Janis' newer work, and in the case of older work, its re-mastering and the re-creation of the original artwork." From 1982–92, Ian continued to write songs, often in collaboration with then-songwriting partner Kye Fleming. She released Breaking Silence in 1993 and also came out as a lesbian. The album, Folk Is The New Black, was released jointly by her Rude Girl Records label and the Cooking Vinyl labels in 2006. Other artists have recorded Ian's compositions, including Roberta Flack, who had a hit in 1973 with Ian's song "Jesse." Ian's own version is included on the 1974 album Stars (the title song of which has also been oft-covered, including versions by Joan Baez, Shirley Bassey, Cher, Nina Simone and Barbara Cook). Richard Barone recorded Ian's song "Sweet Misery" on his album Sorrows & Promises: Greenwich Village in the 1960s in 2016. She continues to tour in both the US and the UK. Ian writes science fiction. A long-time reader of the genre, she became involved in science fiction fandom in 2001 by attending the Millennium Philcon. Her short stories have been published in anthologies and she co-edited, with Mike Resnick, the anthology Stars: Original Stories Based on the Songs of Janis Ian, published in 2003. Ian has been a regular columnist for the LGBT news magazine The Advocate and contributed to Performing Songwriter magazine from 1995–2003. On July 24, 2008, Ian released her positively received autobiography Society's Child (published by Penguin Tarcher). An accompanying double CD, The Autobiography Collection, has been released with many of Ian's best loved songs. Ian took acting lessons from noted acting coach Stella Adler in the early 1980s to help her feel more comfortable on stage, and she and Adler remained close friends for the rest of Adler's life. In December 2015, Ian appeared in the series finale of HBO comedy series Getting On playing a patient who refused to stop singing. Ian married Portuguese filmmaker Tino Sargo in 1978 and the two divorced in 1983. Details of Sargo's physical and emotional abuse were discussed in Ian's autobiography. After moving to Nashville, she met Patricia Snyder in 1989. Ian came out as a lesbian in 1993 with the worldwide release of her album Breaking Silence. Snyder and Ian married in Toronto on August 27, 2003. Ian has a stepdaughter and two grandchildren with Snyder.